Over the last few weeks we’ve seen numerous articles and opinion pieces about Light Rail and the airport. A common and incorrect theme amongst many of them has been the suggestion that the choice to use light rail was a political one and that it’s a vanity project that we can choose not to do or do something different. We also sometimes get accused of setting light rail as a policy. In this post I thought I’d look at a brief history of how the proposal for light rail has developed in Auckland. The story begins over 100 years ago. Trams were the initial agents of sprawl as lines spread out from the city centre to establish new suburbs and open up land for housing. By the late 1930’s tram tracks covered most of the key corridors of the isthmus. But it’s not just that the trams were there, the system and supporting road network were deliberately designed so that most people lived close to a line and that they were easy to get to. The map below shows the routes and a 400m catchment and with the exception of a few holes, covers most of the area. It goes further than that too, the rough grid pattern was designed to make it easy to walk to those lines. Just take a look at the street network of the central isthmus, it is a stark contrast to the curvilinear streets and cul de sac pattern found many post-war suburbs. Those newer suburbs had auto-mobility ingrained in them, making it hard to walk around the neighbourhood, let alone serve them with frequent and direct public transport. The trams were pulled out in the 1950’s but the street network lives on and to this day those old tram routes remain some the busiest bus routes in Auckland, with Dominion Rd the busiest of the lot. At peak times more people catch buses along many of these routes than drive them in cars. As such, the central isthmus suburbs have some of the highest PT modeshare in the region. Below are the PT results from the 2013 census. I’ll get into why all of this is important shortly. The mid 1990s were darkest hour for PT in Auckland with ridership declining to its lowest ever levels. Just over 33 million trips were recorded in 1994 in contrast to around 94 million today. To help turn this around, plans were created to build light rail down Dominion Rd as well as replace some of our existing rail lines. Britomart was even designed, where the coloured walls are today, to allow for ramps down from the surface so light rail could exit out of the eastern end. That’s a feature that will never be used as we need all the tunnel capacity we can get for the since revived rail network, but it is useful for highlighting that it’s hard predicting the future, that transport plans frequently change, but at a high level, our key strategic transport corridors remain the same. Or to put it another way, we know where we need to build stuff but we have to continually update and adjust what and when we build based on the evidence available. In 2007 the former Auckland Regional Transport Authority (ARTA) undertook a piece of work to investigate rapid transit options for the southwest to help feed into various strategic plans. The results of this are still often quoted today. It assessed bus, light rail and various heavy rail options. Reading through the executive summary again there are a number of things that stand out. I won’t name them all but most importantly for this post, light rail performed well but didn’t rank highly in the results due to the extra costs and that we haven’t built or operated light rail here before. The study was relatively high level essentially picked the mode with the most stringent design standards, heavy rail, as that would at least cater for changes in thinking in the future. The early 2010s saw Auckland locked in battle over the City Rail Link. The government were determined to prove that the project wasn’t needed and that just putting on more buses would solve the problem. In 2012 government agencies worked with the council and Auckland Transport on the City Centre Future Access Study (CCFAS). Having initiated the work, Transport Minister of the time, Gerry Brownlee, rubbished it on release because it supported the CRL. That was in part because it found that capacity improvements for buses in the city would only provide short term relief. Bus congestion was now a looming issue but there was no plan to solve it. 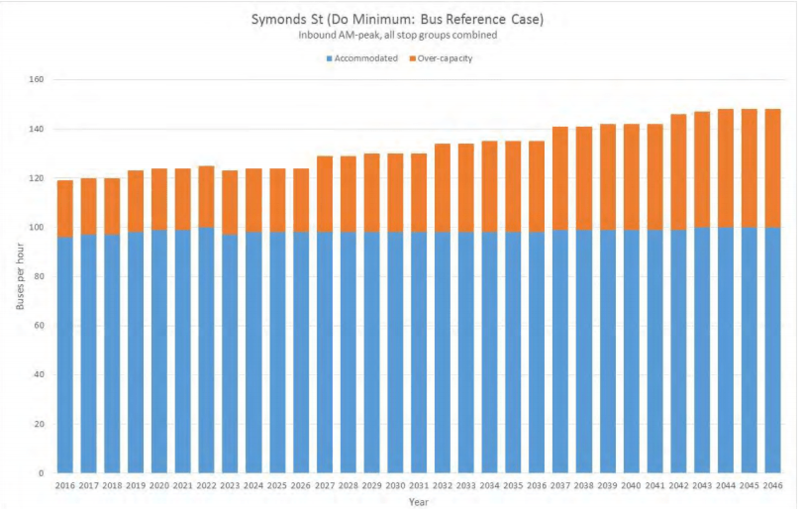 The graph below from the subsequent Central Access Plan shows the number of buses per hour on Symonds St at peak times compared with how many it is designed to handle. 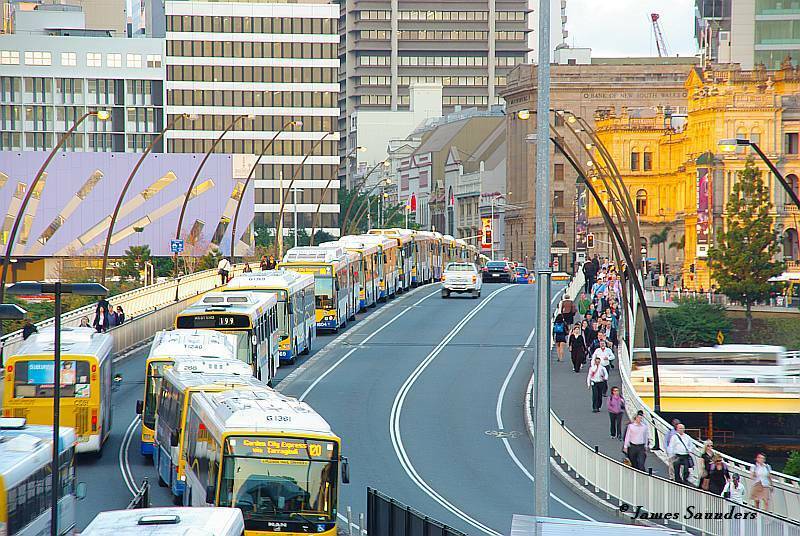 Brisbane gives a glimpse of what we can expect to see more of without light rail. Auckland’s PT renaissance began with those central isthmus routes when the former Auckland City Council installed the city’s first bus lanes. Since then, improvements to the rail network and the development of the Northern Busway have shown that even higher quality public transport is instrumental in getting more people to use PT. Previous work, including that done by the former ARC, had come up with developed a ‘rapid transit’ network (RTN) for Auckland that could largely be summarised as a line to the North, South, East and West, which left significant gaps. The most notable of these was the central isthmus but the Northwest was also missing. Auckland Transport had been (very) quietly working on the issue of bus congestion in the city and at the beginning of 2015 shocked everyone, including the mayor, by announcing they wanted to build a light rail network. This would both fill the RTN through the central isthmus and help address bus congestion by taking the buses from one of Auckland’s busiest corridors – thereby also leaving space for more buses from other routes. Unlike the 1990’s plan which was to build light rail in the hope that more people would use PT, this plan was to build light rail because so many already were doing so. Since then, there has been plenty of debate about modes and timing for the core isthmus route. Subsequent work as part of the Auckland Transport Alignment Project confirmed that a “mass transit” solution was needed for Dominion Rd and eventually the NZTA and Simon Bridges agreed Light Rail was the long term solution. Prior to the announcement above, AT had already kicked off a separate piece of work to look at progressing the corridor protection. This was taking a more detailed look at the corridor and the alternatives. Where previous studies had compared various extensions of the existing rail network to building an entire new light rail line all the way from the city, the need to build light rail on Dominion Rd anyway changed the whole equation. This is because a large chunk of the costs was effectively taken away. Some have argued this is not really a fair comparison but it would be remiss of officials not to update their thinking based on the latest information available. This is not dissimilar to what we’ve seen in other big transport projects where planning for some projects starts happening before prerequisite projects have been delivered. 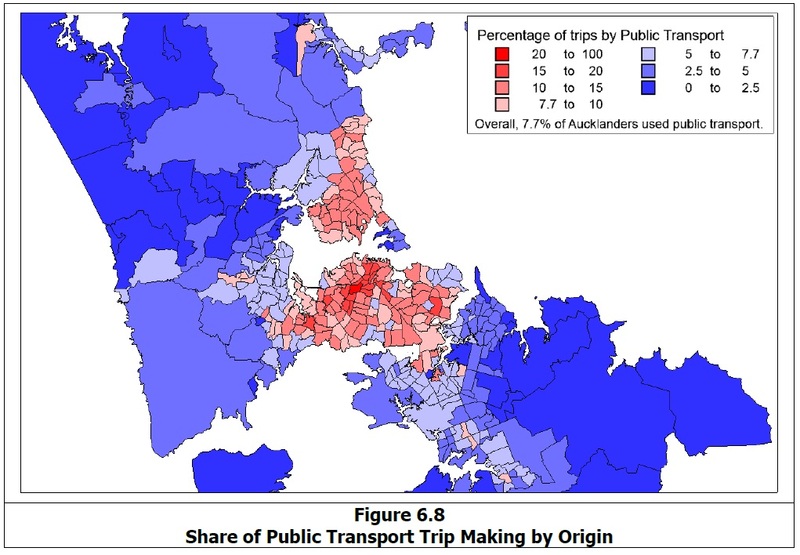 But not only was it now more cost competitive, it opened up a much wider area of Auckland to better transport with stronger connections to the rest of Auckland. A further advantage was the ability to use light rail as a catalyst for more housing along the route and that feature has become a very strong component. Much of this work is contained within the business case already completed for the project – which is still currently on the Auckland Transport website. I should point out that when it first emerged that AT were looking at a light rail option, we were sceptical and felt heavy rail was a better option. However, over time we’ve made an effort to understand why AT and the NZTA preferred light rail as the solution to the North and have shared this through many blog posts. It was not until after this technical work had been done and light rail chosen as the preferred option that the politicians got involved in support. It started with Phil Goff making light rail a key platform for his election. It then became a central part of Michael Wood’s campaign to replace Goff in parliament and finally the policy of the Labour (and Green) party, with Jacinda Ardern launching it as Labour’s first major policy announcement in last year’s election. In recap, more than most large transport projects, light rail has emerged as the preferred option based on technical analysis. It’s the opposite of a political pet project and that’s exactly how it should be. There is no sign it will ever happen apart from hot air and empty words from politicians. And that worries me because the window for this once in a generation opportunity exists under this government only, not a National led one and there are no guarantees of reelection!. Phil Goff made light rail an election must have should vote for him over 2 years ago. What have you got to show Phil? This current government also made it a key issue in 2017, enough to scare National. With 2019 about to dawn we are about as close to realising light rail as the day they switched the last tram off in 1956. The council have a blank cheque from motorists from the petrol tax, where’s the pay back for alternatives to cars and buses and to freeing up Auckland for this tax? I’m not seeing any evidence. Mate I’m as impatient as you are but unfortunately big projects take time. I’m guessing a lot of work is going on behind the scenes on things like route options analysis, financial modelling, business case work and a myriad of other boring but important stuff. I do wish NZTA would tell us what they’re doing though. The communications on this project has been abysmal from day one. “Things take time” quickly becomes “no one bats an eye when things take four times as long in NZ vs other countries”. Maybe things take longer here because everyone is tripping over themselves to be on the right side of the too-powerful media? Going off-topic to illustrate what I mean, because this is what I’m researching at the moment: A review of the safe speeds campaign of ’14/’15 showed that the media coverage was assessed as “18% positive, 44% neutral and 38% negative”. 1/Initial voices are mixed and the media is balanced in reporting them, but generally giving the rationale behind the safer speeds. 3/Broad support from the public as they enjoy the benefits. Compare that with our media, who get away with posturing that does not reflect the research into what NZers think about speeds at all – they’re representing a tiny minority. Do we get so little communication from NZTA because they are scared of what the media will do with the information? Do we get so little solid commitment from politicians because what they say may be broadly popular – but what the media twist it into wouldn’t be? Exactly..watching on the news a couple of days ago, they have finally rebuilt the Christchurch Athletics track/stadium. 7 years later!!! Its not even as big as the last one. Everything in NZ take so long..even if/when Labour win the next election, I fear LR will still be under discussion along with Kiwibuild at Unitec, Skypath etc etc etc…..and I’m an optimist!! How often did CHristchurch ever fill a 25,000 seat athletics stadium, ditto for Mt Smart when it was also an athletic stadium. Things take a long time in other western countries as well, the main difference is we don’t see all the discussion leading up to these projects when they are in other countries, just the projects actually happening. +1 the government of New Zealand committed to the LRT to the airport line in November 2018 and expect it to be completed before 2028. Crossrail was approved in 2007 and won’t be completed until at least 2020. Things take time all over the western world. China can build things quickly because there is no property for people to hold property rights on and dozens of workers die on every project. In fact in mainstream media we often only see a project when it’s officially opened. A good point of comparison is Brisbane’s Cross River Rail (similar to the CRL here) which was proposed in late 2010 and only began preconstruction works at the end of last year (expected completion 2024). Hell, the NYC 2nd Ave Subway line was first proposed in the ’20s. They finally got around to opening three stops (1st of four phases) a couple years ago, with no plans to begin any of the other phases. Fred. I fully agree and all good things come to those who wait but…………. I have been around long enough and at least taken enough of an interest to know that Sir Dove Myer Robinson’s 1972 “Rapid Rail” project that would have us light years from where we are now, transport wise, was reluctantly backed by the then Labour government. Not too long after however, Labour were voted out in 1975, National voted in, the project canned and it was welcome to carmagedon ever since. (ref to link for more information). 46 years later after Robbie’s original vision or 43 after Labour lost and the project foundered, here we are at a crossroads again. Have nothing to show by the 2020 elections or worse for Goff the 2019 local body elections or……….do something! Symbolism in plain sight. Talk is cheap but make it a major priority and start tearing up the tarseal and laying tracks and putting in island platforms means its a hell of a lot harder for any government, local or central to walk away from it. And it demonstrates both Goff and this government mean business, for the better. Completely agree with you and it would be very encouraging to see some advance works underway, something like the trenching or tunnelling at the Queen St K Rd junction. Sadly I share your scepticism. The ‘furious’ work underway at NZTA appears to be investigating how to proceed using various Auckland and Sydney junkets. I’m becoming less enthusiastic about this govt as apart from talk its difficult to identify any progress with PT, concerning rail still no 3rd main and allowing the EF locomotives to quietly be decommissioned is disappointing. Yes the 3rd main is surprising considering it’s relatively cheap – unless they’re doing the numbers on doing the full 4th main? And yes VERY disappointing to see no action taken against KR to keep the EFs. Given these projects haven’t had any serious work undertaken on them prior to 2017 it would be pretty much impossible to have construction happening by 2020. Jacinda is in much better health than Norm Kirk was and this government is much more committed to LR than the Kirk government was to Robbie’s rapid rail, so I’d be more optimistic than in 1975! Agree, seems silly and a waste not to hook up Wynyard. I did see plans for a new LR connection bridge between Customs St over that part of the viaduct. The light rail will be connected to Wynyard. The existing tracks are of no use to the future system though. Couldn’t handle the weight, no platforms, wrong route for a future connection to the Shore. Wasp. NZTA are working furiously on it, it has funding and financing via the SuperFund. It’s just that they are clinging on to the always odd idea that not talking about it is somehow clever. It didn’t work for AT and its hard to see how it works for NZTA now. I have hopes this will change soon. It is indeed very much happening. if they talk about it some tricky reporter might manipulate them in an unforseen way and get some speculative timelines out of them which they fear they will then be held accountable to. Far, far better to proceed with opaque bureaucratic secrecy. That way, no one can get tripped up by pesky journalists asking impertinent questions of imperial managers. this article would be more wholesome and transparent if it showed the diagram of and explained the benefits of the 2015 LTR proposal along a number of the isthmus main roads. And then explained how many fewer stops there’d be and the impact on the local commuters when that scheme was hijacked for the current proposals. Fewer stops = good. It is literally not a local bus service. Once operating, people on Dominion Rd will be more than delighted with their vastly improved service, they will, rightly, feel very lucky to have such a high quality and faster service both through their area and to the city and Onehunga/Airport. That anyone there would prefer slower buses to the city, no Airport link ,and ever more traffic is a very hard line to maintain. I’d love it if the bus routes I use had fewer stops. Ah yes, “fewer stops” – as in fewer both *before* and *after* your one – of course? But Patrick and you are right, we don’t put motorway on or off ramps every 400 metres do we [well NZTA ancestors did do that in a couple of places - and look what mess that still causes today]. They’re usually at least 1 km or more apart, sometimes 2 or more. But fewer stops/motorway ramps – Different modes. Same reasons. Anyway, Russell, at 800 metres apart, for LRT stops as is proposed, you will only need to walk at most 400 metres to get to the next stop closest to you. Thats the same as the old Tram days when the walking circle was 400m give or take. And of course, unlike buses, these LRT stops will be right opposite each other so no matter which direction you’re going the walk will be same distance, with a road crossing in the mix possibly. Not like buses where the stops on different sides of the roads can be quite a lot of distance apart from each other. Of course! In all seriousness though, I walk about 1.5kms to my nearest railway station, I’d far rather get a bit more exercise as part of my commute than have the train stop every 500m. When I catch the bus the stop is close by but the ride is torturously slow. …and the cost. Which is about four times as much as the single line plan, without any greater benefits because it spends billions replacing three extra bus lines with LRT for no real reason. Russell was talking about the recalling the benefits of the brief and ludicrous suggestion of building four light rail lines in parallel, some supposed great scheme that got ‘hijacked’. I’m saying he should also ask about the ludicrous cost of building four light rail lines in parallel. It didn’t get hijacked, someone just worked out it would cost six or eight billion dollars and do little more than one line would. Light rail was also preferred back in the late 1990s. By 2000 the region had agreed to light rail being implemented. Then John Banks was elected. He took out a strategic piece of the network, near the University, and this meant that the project was no longer viable. Efforts were then put into electrification of the existing rail system. This is working very well but light rail is absolutely vital to handle the effects of intensification and growth. It still makes bugger all sense to extend a Dominion Rd line to Onehunga and Mangere. A Manukau Rd Pah Rd route would offer far better utility for everyone. Not really. Consider that big “gap” away from the RTN. You want to bisect that as closely as you can. I just drew a W-E line between the train lines, ie Avondale to Ellerslie Stations. It is 9.7 km long. Dominion Rd crosses this line 4 km east of Avondale. Manukau Rd crosses this line 3.4 km west of Ellerslie. So Dominion Rd is slightly more central. 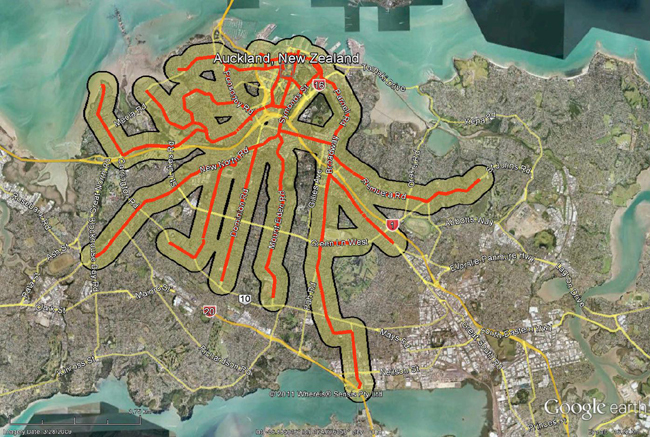 Then throw in One Tree Hill and Cornwall Park reducing the catchment for the Manukau Rd route. When the Manukau Rd Pah Rd route is done in the future, they can simply meet, and a decision can be made then which route terminates and which continues. Of course, what’s bang smack in the middle is Mt Eden Rd. But perhaps it’s better to go with Dominion Rd, then Manukau Rd and split the area into three sections? Where you have a gap in services there is no point splitting it in the middle. We are supposed to aim for an 800m walk to RTN. Some places would consider Cornwall Park and OTH as destinations as are Greenlane Hospital, Alexandra Park and the Epsom showgrounds. Then think about the part in town. It could go from Newmarket to the City Hospital to the University and east west to Wynyard. The Dominion Rd service will only parallel CRL. We are where we are because of incrementalism. They decided on Dominion rd because it would replace more buses. the they said assuming Dominion Road we can go to Mangere, without rethinking the objectives and whether that gave the best overall project. But Dominion Rd isn’t built yet. Yeah, good point about the 800m walk. Does Manukau Rd have less in the way of heritage buildings to protect? It’s certainly a whole lot uglier. Just thinking along intensification lines, so Council can actually approve TOD. The business case actually explains why the Manukau Road route makes leess sense than Dominion Road (longer, slower, loads of conflicts with remaining bus services). Dominion Road makes sense because it means that the busiest bus route can be converted to LRT and run on roads that will have no other bus services. Also Grafton Bridge could be a challenge. The only other bus service south of Great South Rd is the outer link, which could use Gilles Ave. (The outer link also uses Dominion to View Rd so either way they will need to alter the outer link.) Then you get to Newmarket where lets face it LRT should be going as it is a Metropolitan centre. The whole route has far better possibilities for land use changes. But hey lets go with ” this is the easy bit so lets do that, now let’s pretend that is committed works before we plan the next piece. The article above is correct that the purpose of LRT has changed. In the 1990’s it was how can we get new trips onto PT, now it is how can we get bus users onto LRT. I like the 1990’s goal better. eh “The only other bus service south of Great South Rd is the outer link” – the frequent 30 from Onehunga uses Manukau Rd. In saying that I like the idea of a Newmarket LRT line from Onehunga as well as the Dominion Rd one. Could go up Khyber Pass instead of the hospital even to help with regeneration of that upper Symonds St area and thereby avoiding a Grafton Bridge remake or something…though missing great catchment of the hospital etc. Eventually I guess the 70 bus route could be come a LRT route just from Panmure to begin with then from Botany later. Anyone going to Mike Lee’s “March of Folly – Trams to the Airport” talk tonight at Auckland Uni? Mike Lee loves Westmere gentrification millionaires and his solution to Auckland’s housing and PT problems is… to reduce the population. He doesn’t go into how. I don’t necessarily disagree with the idea of sustainable support for regional towns, which seems to be the only possible way to keep Auckland’s population in check. But I don’t believe there’s currently much public support for the higher taxes that would be necessary to provide this (subsidy) support. From the community conversations I’ve initiated, I’ve found people who campaign against intensification, then dodge the intensification / greenfields question by saying neither should be happening, never think they should be spending their energy instead on campaigning to encourage regional development. So it’s not just NIMBY, it’s about not caring about providing houses where there are jobs – anywhere. Transition Town Pt Chevalier appealed to Mike Lee to support Cohaus, as an example of the type of development that would increase housing options for young people.. We wish there was much more of this sort of development happening. I hope he has heard. No, I’m planning on trimming my toenails tonight so wont be able to make it. One thing I want to know is what’s to be done about the Onehunga branch line? Is it going to be double tracked or just left forever as an appendix off the main line? I think the only planned improvements to the Onehunga Line are some minor upgrades to enable it to handle 6-car trains and 3thp. However once the Light Rail reaches Onehunga, with 6-12tph I would imagine that ridership on the Onehunga Line will drop conciderablc. Really? I’d see it going up. It would be a great connection from Newmarket, Penrose, Ellerslie, and Remuera to the airport and Mangere. Those are all large employment and residential areas. Isn’t there a proposal for further works like double tracking Onehunga, removing level crossings, and a few other improvements to increase the capacity of the CRL and wider rail network? Yeah, definitely not funded, just proposed at this stage. I can’t imagine that spending half a billion on that would be worth it in anyway unless it did continue onto the airport and with LR there’s not point to that at all. I thought there were works as part of the CRL. But as others mentioned, perhaps this line is destined for something else and not worth the investment. However, the single track and level crossing issues apply equally to HR and LR. I see it being much busier as an interchange point. A new thing for Auckland really (!) – but again, we need to think of a high frequency network. Mangere to Newmarket, Ellerslie to Airport etc.. If level crossings are really just as bad for Light Rail as Heavy Rail, then the plans for Light Rail down Dominion Road are seriously flawed, especially considering that new level crossings are prohibited in Auckland. I do wonder what the cost would be to build a fully grade separated rail corridor parallel to Dominion Road like what was proposed as part of Mayor Dove-Myer Robinson’s plans. The cost of land acquisition shouldn’t be more than $300-400 million, and the tracks could be sunk below ground level to reduce noise and allow bridges to connect the disconnected roads. Such a corridor would provide a significantly faster trip into the city compared to Street running Light Rail. It would also be straightforward to build such a corridor with 3 or 4 tracks to enable express and local services services. I suggest you google gold coast LRT. you will see that level crossing are not needed and LRT can happly co-exist with traffic on roads. I have used it and it is a great system. Neither single track or level crossing issues are the same for LRT vs HR. 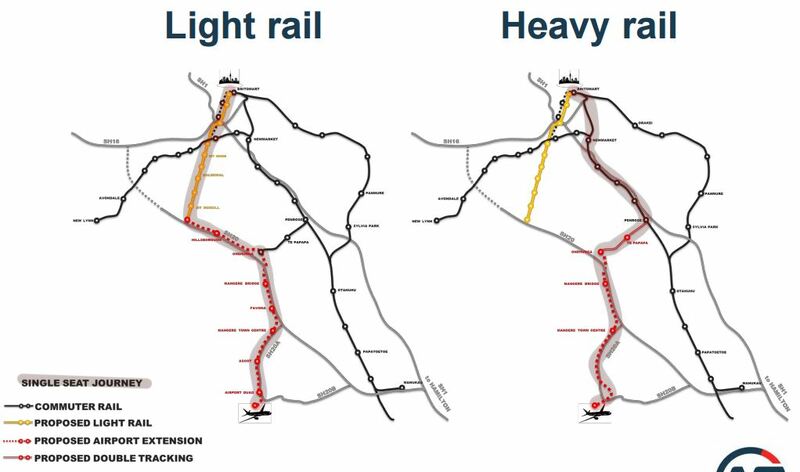 LRT requires a clear corridor width of 7.5m for double track, however Kiwirail standards require a minimum clear corridor of 11m for double track on straights, more on curves. The onehunga branch corridor gets down to about 8.5m wide, so the simple conclusion is you can double track with LRT in the existing corridor, but to do so with heavy rail would require property purchase along most of the route. Level crossings aren’t an issue for LRT because they can stop much more quickly, and because they are designed with crash standards intended for street running. In short, they are designed for frequent level crossings. The rule of no new level crossings on railways is a kiwirail policy, not a law. LRT wouldn’t be a railway or under the kiwirail rules, so this doesn’t apply. Similarly, most LRT systems operate on line of sight safeworking (like a bus) without a signal block system (like a train). Frequent level crossings aren’t as much of an issue for LRT as they don’t have to wait for barrier arms to go up and down and for signals to change to green. It’s still not ideal, and slows things down. LCs on this route should be dealt with either way. We are not talking a trundling street tram here, we are talking fast LR – comparable to the 96 down to St Kilda, an ex-HR alignment. Noted on the clearances though, illuminating! That seems implausibly low when the width of 2 vehicles, the clearance between them, the clearances between the vehicles and masts for the electrical supply and the clearances between the masts and the boundaries are taken into account. What is the source of your 7.5 m figure? What are the masts for? The traction power is underground, right? Traction power is overhead according to the published information I have seen. Right, some visuals that have overheads in them both minimise them (have perspectives that mean that the wires tend to have bridges or other dark things behind them) and show the masts being on the street edge. So I’d thought they’d used a different approach. Your link above strongly suggests that the tender documents allow overheads. I would expect a DC supply of around 750V so any in-ground system would have to be a switched type, a la Bordeaux. That comes at significant extra cost so I am guessing that it will be overhead. Its all a bit of a mess if you ask me. We have the abandoned tram line at Wynard plus the abandoned train formation from Onehunga station down to the harbour with a destroyed overbridge on Neilson street and not mention a hole in the middle of Albert street which just might be the CRL in 2024 although I don’t imagine that is set in stone. At least we do have a double tracked electrified railway and new stations and a lovely bus station at Manukau city. But some how we have to replace two train lines one to Kumeu and another which could easily be extended to Mangere with light rail.There is no starting date let alone completion dates for either of these projects. And no plan to explain how they can be built without causing congestion chaos. You can understand why people are a bit skeptical about the whole thing. If only the council had off started building light rail up Queen street immediately after Britomart was opened and not gone off on a 25 + year project to build the CRL we would be a lot further down the track. It was always a project which was not worth the fight and light rail to the airport is shaping up to be another.Build the Puhinui busway and the light rail up Dominion road if you must and extend the train line from Onehunga to Mangere town center. Just don’t try to combine the three into some kind of super political project because its not worth it. The new bus network has shown that the transfer model of operation works well and its gaining support daily. So your suggestion is to have 3 stub lines that never cross eachother and then just assume that people will somehow make a transfer work between them? Why not build a brand new north-south line to the airport parallel to the eastern line, then build two busways to Botany crossing the eastern and southern lines and connecting to the end of the new line. P.S. it’s not actually easy to connect the airport to the existing HR line, it needs a stupidly complex junction at Wiri, a 1,000m long viaduct to get over SH20, and a 1,000m submarine inside the airport. The business case showed that it cost roughly the same as extending LRT from Mt Roskill all the way to the airport. I am not advocating for any heavy or light rail connection for the airport. Catch a bus. Not many Mangere people will want to go to Dominion road.but they will want to go to the CDB, Newmarket, Penrose and Ellersllie. Buses will be more suitable for airport workers as they will stop at multiple points in the airport prescient. Travelers can catch the train to Puhinui then transfer to the busway. There could be express straight to the terminal and all stop both using the same busway. Bus 31 from Botany to Papatoetoe is a less congested route than travelling via Manukau city. But it could connect to a Puhinui busway. Am I right that you are saying the council shouldn’t have proceeded with the CRL? What would your proposal to deal with the very real capacity constraints that our rail network will face in the next decade. Terminate all Western Line trains at Newmarket transfer to one light rail line at Mount Eden if that hasn’t got enough capacity then build another one after all we are going to have two light rail lines which will basically duplicate the CRL. One more thing the CRL isn’t anywhere near finished yet. It maybe that the section which is under construction just becomes a very expensive storage space for EMU’s although it could also be used to increase the capacity of Britomart station. It could also be that a future council could terminate at Aotea station. Why would you split one of the most popular rapid transit routes in the country and enforce a transfer for the majority of its passengers? Also where would you find the space at Newmarket for the proposed 18tph in each direction on the Western line in the future? Or are you hoping your proposal will ensure we don’t get patronage growth? We are talking a 215m EMU set arriving every 3-4 mins at peak on the Western line in the 2045 CRL running pattern. That would require some serious LR capacity to to service these passengers, let alone those on other LR lines. Some or all of trains terminate at Parnell. Make use of the spare tunnel. So have a third platform in the middle of the up and down mains so three tracks from Newmarket to Parnell to avoid conflicting movements for western trains having to cross from the up to the down main. Especially with the CRL already under construction and the winning bid to build the main part being announced early next year. I want to hear about the winning bid for construction of the fourth main out to Pukekohe. With the benefit of hindsight, a huge amount of money could have been saved if the Western Line had been converted to light rail when it was double tracked. After Kingsland, the line could have deviated down Ian Mckinnon Dr, and then down Queen St or Albert St to Britomart. This would have avoided pushing Britomart over capacity, and even if capacity was reached, a third throat tunnel could have been build for a fraction of the cost of the CRL. Projected such as the New Lynn trench, or future grade separation would have presumably been unnecessary, as there seems to be no issue with light rail crossings at grade. The main problems with this plan, would have been that the Western Line would have had to be closed for at least a year, and the NAL would be permanently disconnected from the rest of the HR network. However, these would have been small sacrifices for a savings of 4-5 billion dollars over a 30 year period. Forget the hindsight this was advocated at the time in fact it was the official plan in the 1990’s can anyone remember Phil Warren he was the head of the Auckland Regional Council.. Access for trains to the NAL would have being a problem but I am not sure that it would have being impossible and I don’t know how far it could have gone out west. But too late now. Most people don’t like transfer between services unless it is absolute necessary like bus to train, bus to express limited of non stop bus or bus to ferry, as passenger prefer ‘one’ mode direct travel to their destination, as seen in Wellington. ‘Spoke n hub’ transfer model can be very confusing for travelers and can turn off travelers using PT. The quality of the transfer is the important point. Transfers can be great. We need to have good data to see how people have responded. Far better frequency, and having to transfer, suits many people much better. I disagree. How do you know that it suits people better?. The fiasco with Wellington current so call ‘spoke n hub’ rapid bus system is not like by regular bus travelers due to taking to 2 or 3 buses where it use to take one bus. Experience PT users want to get to their destination with little fuss and quickly as possible or they will look at look other options like using a car, as seen in Wellington. The problem is, there are arm chair technocrat urban and transport planners who have little practical concept to what PT users want or experience, who base their plans and recommendations on theoretical statistics with out listening or experiencing in real time what the experience PT user wants and the actual problems involved. The Wellington experience seems to have been marred by a whole lot of problems. In return I got 15 minute frequencies throughout the whole day for the first bus, and about 4 minute frequencies for the connecting bus. That’s transformational. And that first bus also connects me to a dozen or so other bus routes, many of them at 15 minute frequencies. The swathe of Auckland I am now connected to easily is huge. It’s the frequencies that have enabled that. Connection to 3 times as many routes (so they can be direct for some people) at a third the frequency is useless to me. Our network wasn’t designed by arm chair technocrats. It was designed by people who use it. Now we need the people who allocate the money to use it, too, so that they can see the need for improving the transfers, eg by putting bus stops at the corners where routes intersect. I often break my journey for no reason other than to stop at a shop I like, then get on the next bus, 15 minutes later. Transfers are yet another opportunity to get errands done. The fiasco in Wellington appears to have little to do with the hub and spoke model, and much more to do with a very poor contracting process that saw a reduction in capacity. The majority of Auckland bus users who previously had a one seat ride either still have a one seat ride or now have a transfer to a train. There are some that now have to transfer from bus to bus, but there are also now a lot of journeys that are much easier than they used to be. To be honest if I had to choose between experts on network design and people in Wellington who will complain about anything, I know who I’d trust. I wonder if the top 10 most commented on posts this year will be about light rail? The O-bahn in Adelaide is basically a blind alley. Getting replacement guided buses for the originals has been problematic. Adelaide’s more recent public transport initiatives have instead been electrifying their suburban railway, and replacing the vehicles and extending their prewar light rail system. Time to float the idea of the Tamaki Drive line and a bridge across the Tamaki eustary to Half Moon Bay. That’s a testament to the ongoing controversy and debate about the topic Matt. I am astonished by some of the pessimistic comments – suggesting that CRL will never be finished or that it will take decades to do so. It is disappointing that it has fallen well behind the original schedule (at the beginning of this decade we expected it to be open by now), and has now been overtaken by the Central Interceptor (contract to be let in 4 months and construction underway by mid-2019) but it is a committed and fully funded project. The confirmed route and business case for the Mangere-City Light Rail are due to be announced by the end of this year (8-9 weeks). So far briefings have been disappointingly high-level so I am really looking forward to seeing a lot more detail. There is no way that it will be completed any time soon but I expect that contracts will be let and work underway well before the 2020 election – so even a change of government will not be enough to kill it off. Re: CRL. It’s difficult for many to be optimistic as progress appears to be disorganised and CRLL have already pushed out (again) the likely opening date. The fact that the Albert St section will probably be completed in a few more months, then sit empty and unused for at least 5 years, doesn’t exactly inspire confidence that CRLL are progressing this project in a timely manner. Since it is committed and fully funded then why are other sections of the CRL not already being constructed? No station boxes being built, no tunnels being bored? Who is responsible for this incompetent planning? Also the central interceptor is a sewage and stormwater tunnel from Western Springs to Mangere. Is it an integral part of CRL or just an excuse to delay CRL progress? Anyway it good to see that you have an optimistic outlook. It’s reasonably simple, one of the two shortlisted tenderers for the main tunneling and station building, Fletcher Construction pulled out last year due to financial difficulties within the company. CRLL chose to reopen the tender process to ensure it was competitive, the new date for announcing the winning bid is March 2019 and has been for quite some time. This has proven fortuitous as it allowed the new government to re-evaluate the forecasts and change the scope to allow for 9-car trains and the Beresford Square exit. I thought the route was confirmed prior to the election more than a year ago and funding as part of the result. What has held up tendering for design and construction? Surely there is some part of the route where tracks could be laid immediately? Or the tunnel under K’Rd started? There have been multiple reports listing priority level crossing grade seperations, but none of them have been done yet, e.g. Woodward Rd, St Jude St, Morningside Dve, etc. The central interceptor is also running late by 2 years. Council have a history of being late and non-achievement. I don’t find the pessimism astonishing. About 70% of a major infrastructure job is the argument to get the money together to do it. About 30% is doing it. That should give you an idea of the fight that we are about to get in to with light rail. There will be few facts in the matter, and even less talk of history. It was particularly galling to see the ARC quoted in this post as they managed the decline of rail and public transport in Auckland generally into near-extinction. A paper or two at the height of the Clark administration with the most pro-rail Minister of Finance we’ve had in a generation does not constitute support: it constitutes nothing more than blowing with the wind. Good to see the Minister deign us with a little article in the NZHerald this morning about light rail. But he will need to get a whole bunch of community leaders in Mangere to come out in support over the next year to counteract the boilover he is going to get from Dominion Road. He needs an actual communications strategy – and it’s not in evidence. Do not let anyone be fooled that this project is inevitable. 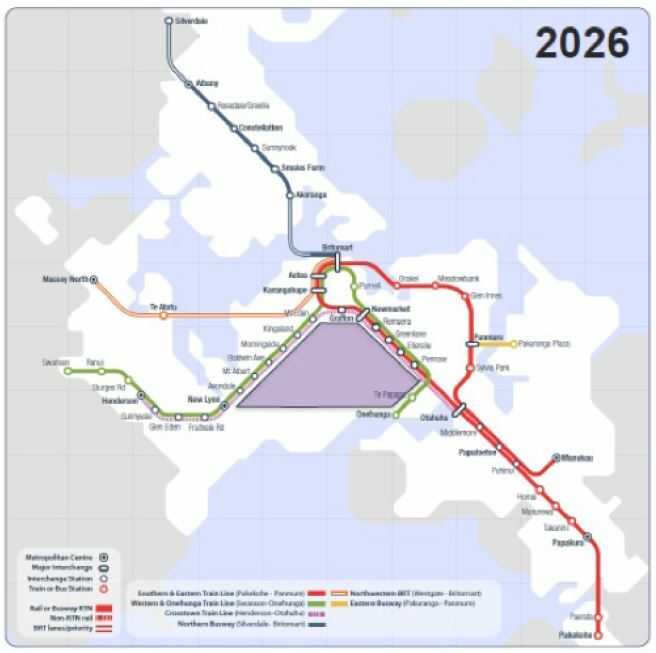 And whether Greater Auckland want it or not, they are seen as a key instigator of this light rail system and cannot in any way shape or form be publicly on the fence about it. keyboard arguments are going to only get you so far. This is going to be fought on the street, shop by shop, car park by car park. +1 Yip. This is so true. And to put it into specifics, what do you think, Ad? 1/ Find a few Dominion Rd retailers who support the light rail. Talk with them. Ask if photos can be put in their shop windows of places where light rail has been transformational for retailers. 2/ Find a Dominion Rd area community group who support light rail in the area. Talk with them. Ask them if they can put a short inspirational weekly information piece about urban form into whatever communications platforms they use. Help them with content. 3/ Attend events in the area, and have a stand, showing real information with lots of pictures to draw people in, and discuss it, face to face. A “Heritage of the Trams” project showcasing that Dominion Rd was built into what it is on the back of the trams that ran down there. Heidi, unless it is in Coffee News at the local chippie then it didn’t happen. It’s basically the National Gazette. Brilliant, Buttwizard. The Coffee News, that scholarly journal at the cutting edge of social discussion, bringing communities together. 🙂 It’s actually not a bad idea. The Mt Eden edition covers: Eden Terrace, Grafton, Dominion Rd, Mt Eden, Gillies Ave, Epsom, Balmoral, Three Kings and Hillsborough. So the scope for content is huge… but just printing some of TLD’s Heritage of the Trams pictures would be a great start. Maybe “then and now” pictures taken at the same spot? Or “then, now and future”? Now Mike Lee is back in the Herald attacking light rail again today, for the bizarre reason that all the expert think it is a good idea. Experts! hah! What do they know? he then descends into plain old bullying and threats. Meh, I stopped reading when he started talking about disruption and leafy and Heritage neighborhoods. What an old plonker..
Oh yeah, are these the same experts who said to put parnell station next to all the apartments, offices and the university, instead of up a muddy gully in the bush? He sure proved them wrong! Not meaning to pick on any one board member or Councillor (because there are plenty I’d take issue with), but there are elected representatives on all sides of the political spectrum who need to start hearing some strong, collective voices and have it explained what regressive politics is doing to our city and our young people’s opportunities. Perhaps next years local board elections need to have some targeted action from the public to show what the power of a more informed vote can be?